Ella Purnell, Georgie Henley, Jason Flemyng et al. British coming-of-age comedy drama directed by Bryn Higgins. A group of teens decide to escape their humdrum reality and overbearing parents to party at an island festival. 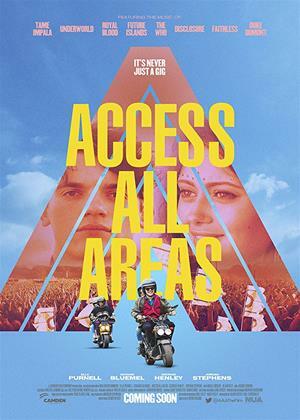 Mia (Ella Purnell), Natalie (Georgie Henley), Leon (Jordan Stephens) and their friends encounter colourful characters and have the time of their lives, while a rumoured mystery guest is creating excitement at the festival after a 12 year hiatus, encouraging one of the boys to embrace the stage himself.